I have officially taken the leap into the bullet journaling community! 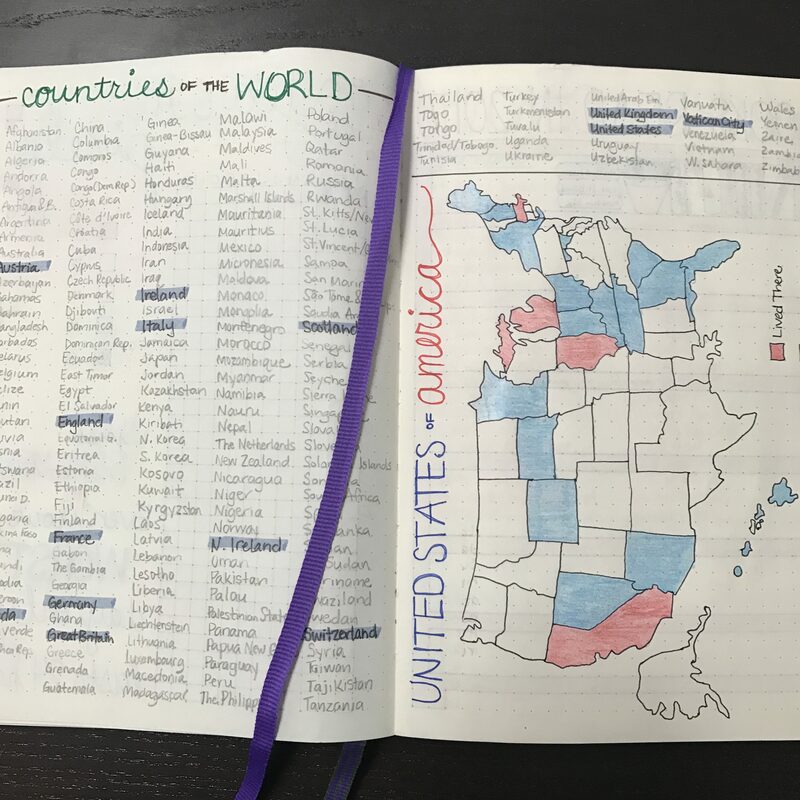 After doing extensive Internet and YouTube research, I finally decided to add a purple dotted Leuchtturm1917 to my Christmas list last December. I, of course, spent the first few weeks just flipping through and admiring the 249 gorgeous unmarked pages, as I was afraid to mar it in some unfixable way. Does anyone else share this anxiety? Finally, I found a workaround that allowed me to plan out my pages before marking them up – STICKY NOTES. This method let me plan out the first several pages until I grew confident enough to break out my beloved Staedtler fineliner pens and draw that first line. After a solid month or so of actively using my bullet journal, I am thankfully falling into a comfortable rhythm of layouts and designs that work best for my style and needs. It’s amazing how a new dotted notebook and bring organization and clarity to your life! Essentially, you can make the notebook whatever you want it to be to suit your specific needs. If you are someone who wants a dedicated space for your to do lists (or any other sort of list(s)), your bullet journal will be clean and simple. 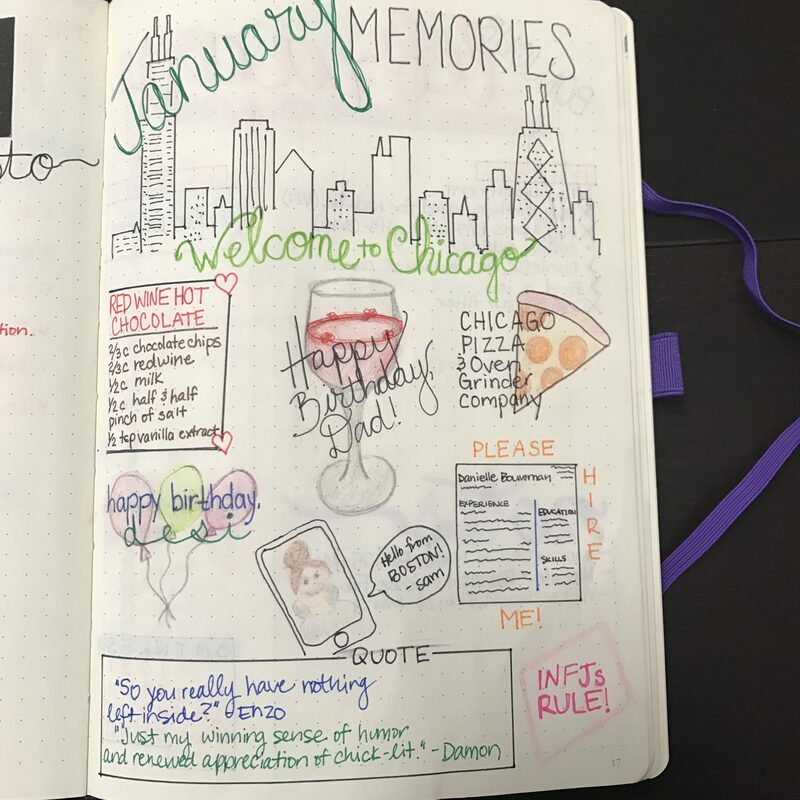 If instead, you are looking for a place to have customized weekly/monthly/yearly layouts for planning purposes, your bullet journal will be productive and efficient. 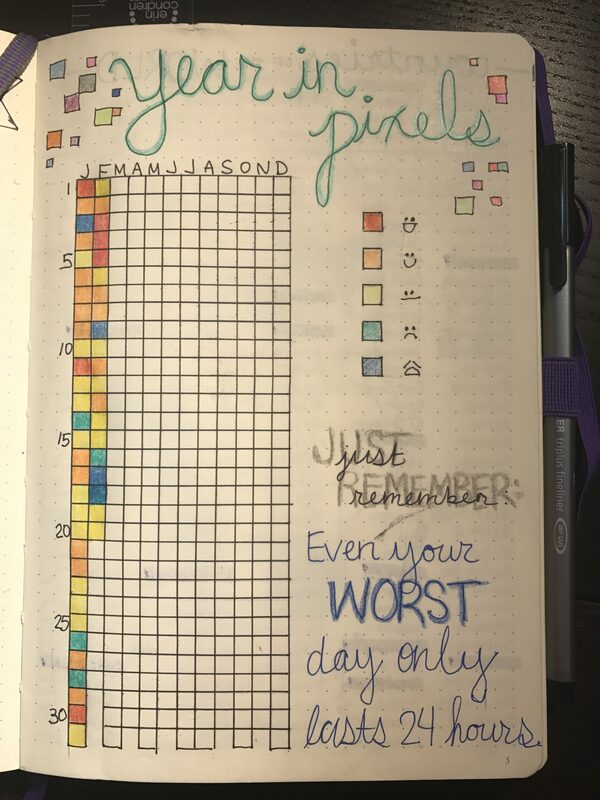 Even further, if you want a place to put everything your mind gets clouded with during your day, your bullet journal will be the unique paper version of your beautiful personality. No drawing or creative talent? No problem! Just write out whatever you need. Prefer to take several pages practicing your doodles and sketches? Go right head! No one can tell you what you can or cannot put in your journal. Ever since middle school, I have always loved carrying planners around with me. My mind is often very busy (I’m an INFJ with a VERY large inner world and continuous personal dialogue), so having a dedicated space to keep track of my homework, personal events, and obligations was an absolute necessity. Buying a planner every year is something I look forward to, but I was never able to find exactly what I was looking for. Traditional planners have strict layouts targeted to students or adults with highly scheduled lives. My struggle to find exactly the right style always ended with compromises. After graduating with my master’s degree in December 2016, I was once again on the hunt for a new planner for 2017. Life after grad school, my journey in making a career change in a new city, and my desire for a clean slate called for something completely different. Luckily, last fall I kept coming across bloggers and journaling/planner communities raving about bullet journals. Hence, the aforementioned #bujo research commenced. My bullet journal is still a work in progress. However, since this aspect is kind of the whole point, my anxiety about it is essentially non-existent. 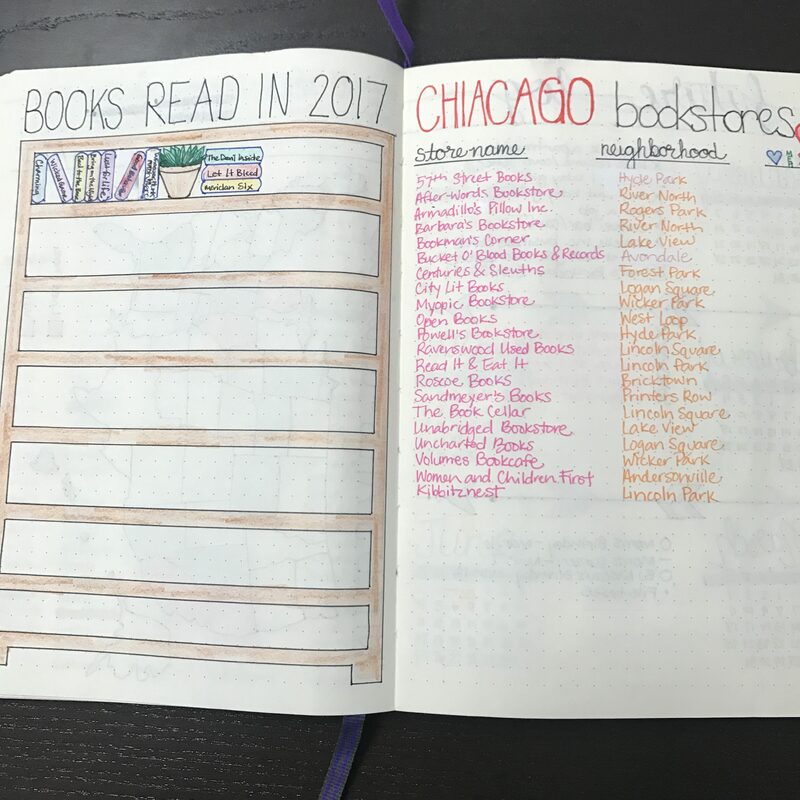 I love lists, so the pages so far consist of the books I’ve read in 2017, a list of Chicago bookstores I want to visit, USA and abroad travel trackers, my 2017 personal and professional goals, habit trackers, and several other layouts for planning purposes. 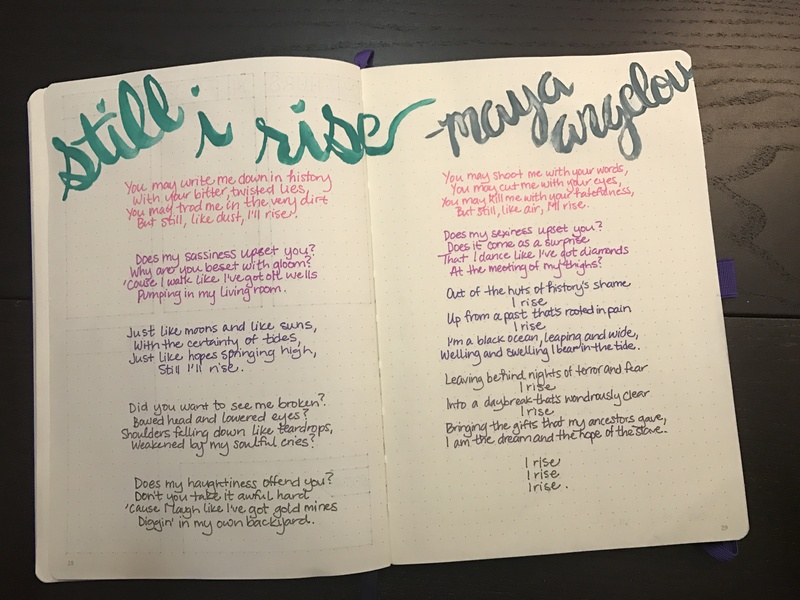 As I’m sure you by now realize, bullet journaling is very unique to that particular journaler. When looking for inspiration, there are thousands of examples on the Internet and Pinterest for you to peruse. 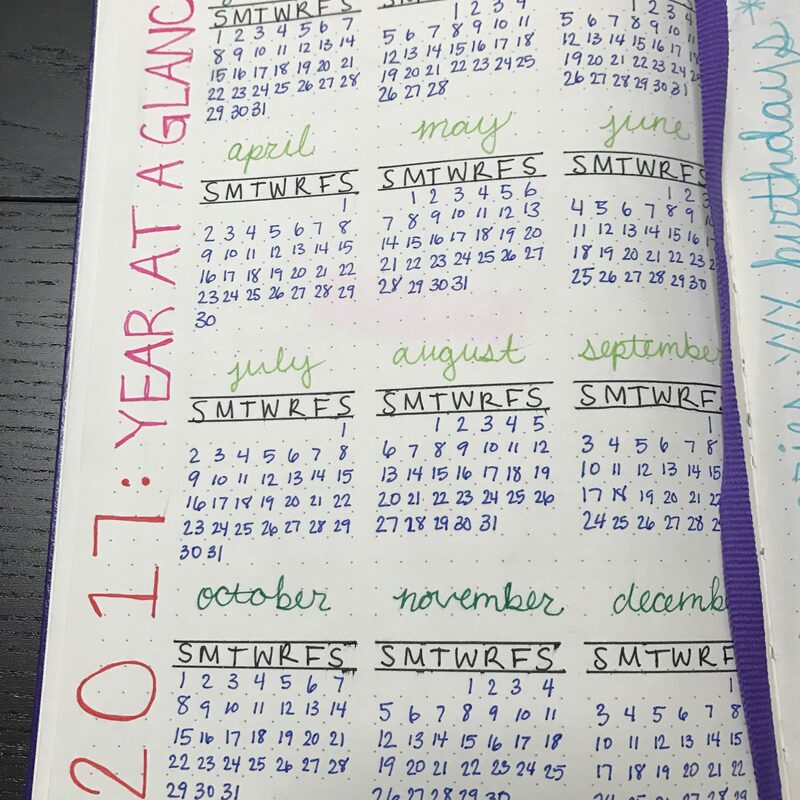 There are even several bloggers who have blog dedicated to their bullet journaling efforts. A few of my favorites include: Boho Berry, Tiny Ray of Sunshine (bullet journaling), and Pretty Prints & Paper (bullet journaling and lettering). Seeking even more inspiration? I have been collecting bullet journal and hand lettering videos that I come across into a YouTube playlist. I hope this post and the resources included inspire you! I’m curious to see how other people use their bullet journals. Please leave your comments and/or questions in the comments below!